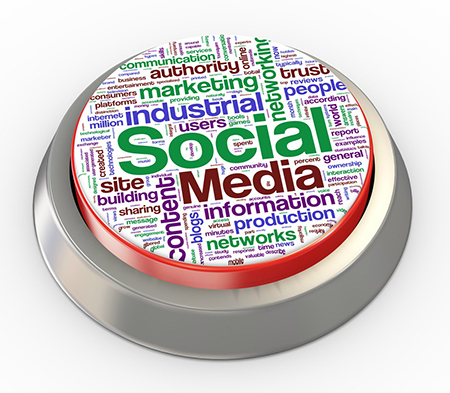 Is your social media marketing solely focused on building your company’s branding? If so, you are missing out on a great opportunity to use a very effective tool to generate leads and grow your business. Social media allows you to communicate with specific segments of your target audience, direct traffic to your website, as well as create a whole new source of leads that was previously difficult to approach. Below we talk about some of the ways you can use your staffing firm social media for lead generation. Take a look. In order to generate leads with your staffing firm social media, you need to produce and share valuable content that increases audience engagement. People want to receive information that provides value and keeps them up-to-date and interested. Does your company maintain a blog with industry specific topics? Do you write case studies that talk to how your services solve problems? Have you produced white papers on issues that your audience might find value in? Did you come across articles that are helpful to candidates and clients? Use your social media to spread the word and direct traffic to your website. Share links to gated content in order to collect information on potential leads and have your teams follow up on them. Almost every social media platform allows you to create focused ads and get the attention of specific groups of people. Are you trying to find candidates for a Java developer position? Are you launching a new service and want specific clients to know? From Facebook to LinkedIn to Pinterest, take advantage of this feature to generate leads with your staffing firm social media. Keep in mind that this is not something that is going to put a burden on your marketing budget as most of these channels offer the flexibility to advertise according to your abilities. Contests are a great way to generate leads with your staffing firm social media. You can give away prizes to those who take part and win. One thing to keep in mind in order to collect qualified leads is that your prize needs to intrigue the attention of the audience you want to engage. For example, a gift card with X amount of money is going to attract many to take part but they are not going to be the prospects you want. Instead, offering a discount on your services is going to be more appealing to those who want to work with you. Are you opening a new office and want to announce it to the local community? Are you looking for candidates within a specific geographical region? If your budget doesn’t allow advertising on local newspapers and radio or if you want to be even more effective, then social media is your friend. The majority of the social networking platforms enable you reach out to specific audiences based on specific criteria that you set before starting your campaign. Also, keep in mind that you can run multiple lead generation campaigns at the same time and on different channels. How cool is that? Like with every marketing effort, when you want to generate leads with your staffing firm social media, you need to be creative and consistent. Remember that you need to intrigue people and show that you are serious about what you do. Whenever you share your content try to do so in ways that speak to the needs of your audience and demonstrate how they can benefit from reading it. In addition, have an editorial calendar of what goes out and when and follow it to the letter. Social media works only when you invest the necessary time and effort into it. You want to create followers who can potentially turn into leads for your company.